Teachers at The Wilson School take a cooperative, problem-solving approach to the learning process. We encourage our students to ask questions and to think critically. We integrate research, technology and project-based learning into the classroom in order to enhance the curriculum and engage students in meaningful ways. And we partner with a variety of organizations and local resources – ranging from the Saint Louis Zoo to Washington University – to offer unique learning opportunities. The majority of our faculty and staff hold advanced degrees, with an average teaching experience of more than 20 years – that’s five years more than the national average for independent schools – and an average experience at Wilson of nearly 15 years. We have one class per grade, with two full-time teachers per class and specialists, resulting in an 8:1 student-teacher ratio. Students access a full range of the latest technology and an extensive library of books, periodicals, magazines and software. 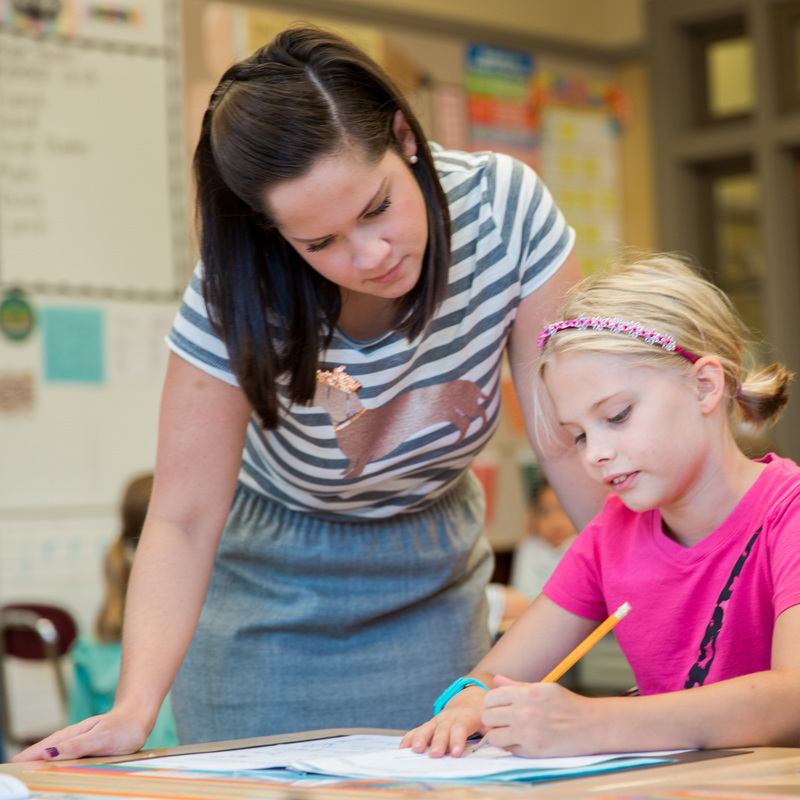 Upper grades are fully departmentalized with core subject specialists.